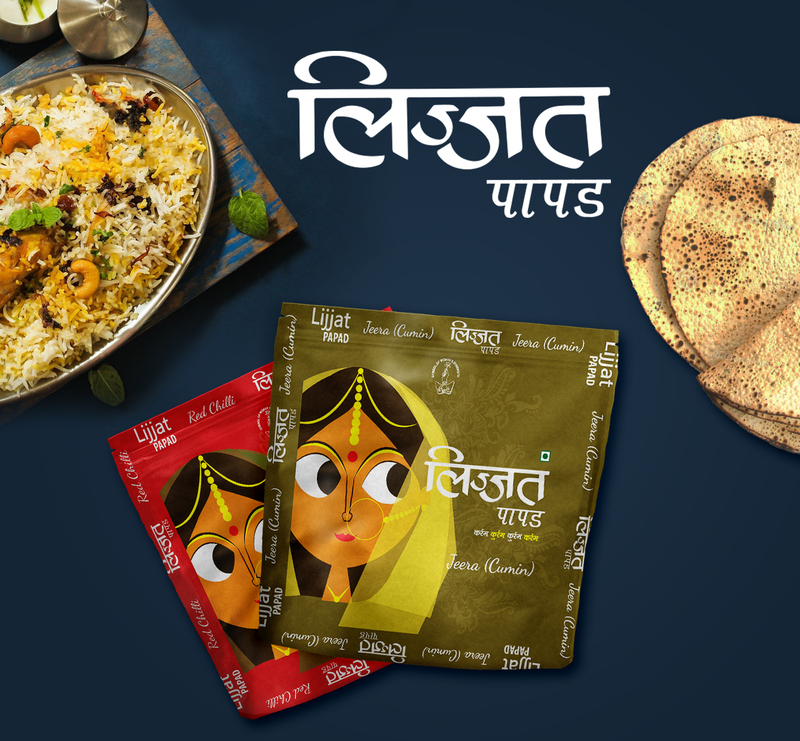 This is a conceptual packaging project on Lijjat Papad. One day, during my research on the project, I noticed their existing packaging and I was very disappointed. Lijjat being such a famous brand and hence having a good profit margin, have not spent enough money and time on their packaging. The product is exported worldwide, thus should have some packaging standards. Yet the product is exported in its poor packaging. 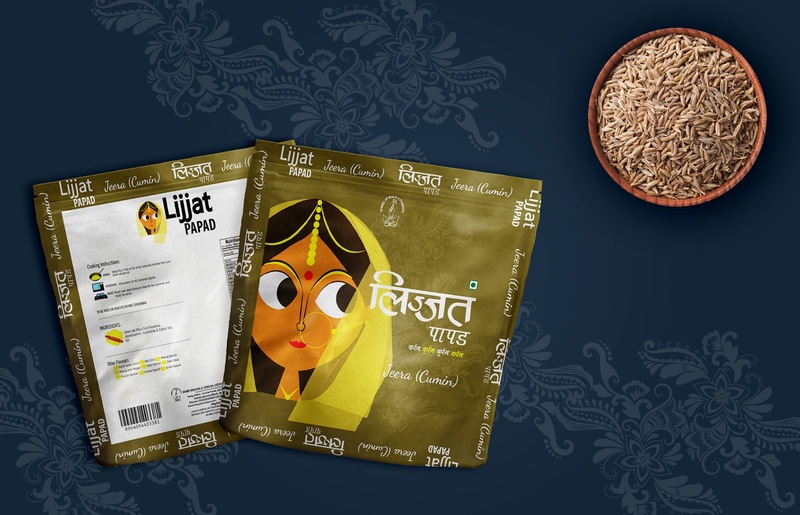 Shri Mahila Griha Udyog Lijjat Papad, popularly known as Lijjat, is an Indian women’s cooperative involved in the manufacturing of various fast moving consumer goods. The organisation’s main objective is the empowerment of women by providing them employment opportunities. Started in the year 1959 with a seed capital of Rs. 80, Lijjat has an annual turnover of around Rs. 6.50 billion (over 100 million USD) in 2010, with Rs. 290 million in exports. It provides employment to around 42,000 people. 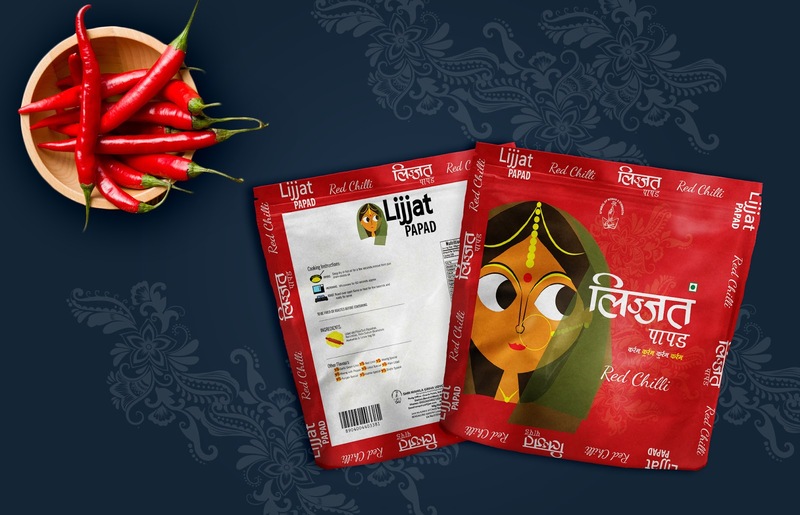 Lijjat is headquartered in Mumbai and has 81 branches and 27 divisions all over India. The running of the organisation is entrusted to a managing committee of twenty-one members, including the President, the Vice-President, two treasurers. 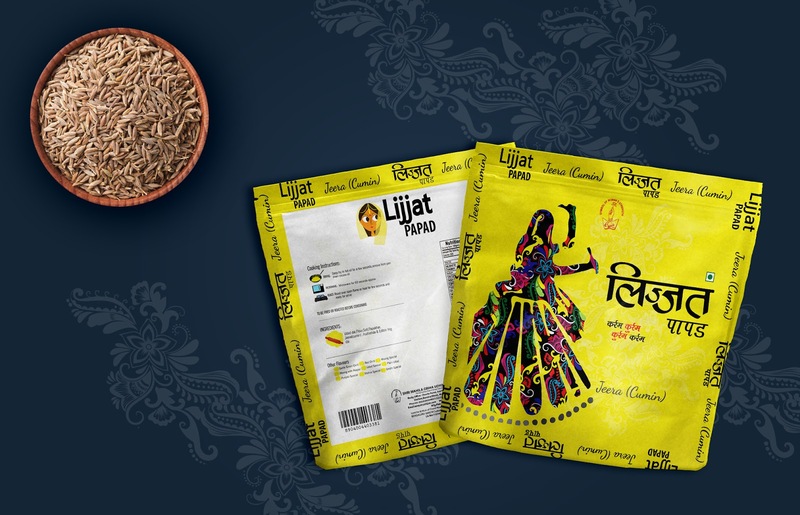 The growth of the Lijjat is often seen in the larger canvas of women and their empowerment.30-35% of papad is exported in places like US, UK, Singapore, Thailand, etc. There are various problems with the existing packaging. One of them is the material being used to pack. Plastic packaging not just looks bad but also is very bad for health. The content on the packaging is not readable. The concept and solution to these problems were, firstly to use foil packaging, with a ziplock mechanism. The zip lock mechanism will not only keep the papad airtight but will also act as a container so that the consumer doesn’t need to find a separate box to store the papads. Through the design, the idea was to depict a lady through my designs for packaging to show the women strength in this organisation. Lijjat Papad’s mascot, the rabbit is also removed from the graphics because of this reason itself, that is the women should be their mascot and not a rabbit. The design needed to be extremely attractive to stand out and be eye catchy. The graphics and the overall packaging is its USP. At present, there is no creative packaging for papad present in the market. This packaging would set a bar for its competitors and hence makes it unique.